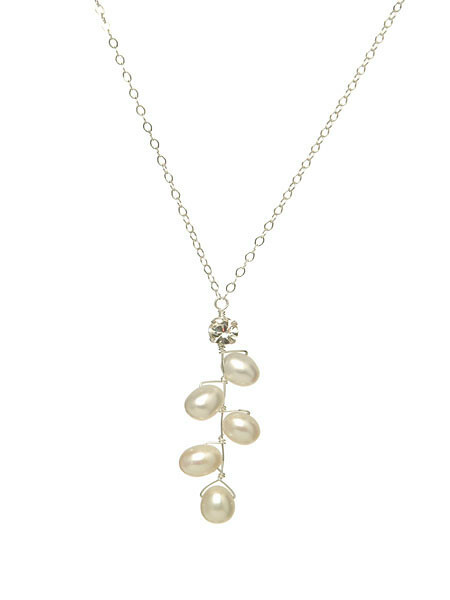 This stunning Fern Pendant Necklace features ivory freshwater pearls with a diamanté stone on a silver chain. This pendant necklace is perfect for a simple look to you on your wedding day. The pearls and diamanté will make you glow, style with other accessories from the Fern collection.